Crafted to perfection. 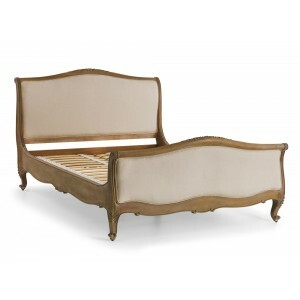 This Etienne bed has a marvellous and tranquil presence within the bedroom, finished in a rustic weathered oak with a white wash to create the traditional french look. Produced from solid oak with simple but elegant curves and has a soft linen fabric.